Today I picked up a Starbucks Verismo 580 for an unbeatable price. I saw the bundle pictured above at the Bx and couldn’t resist. 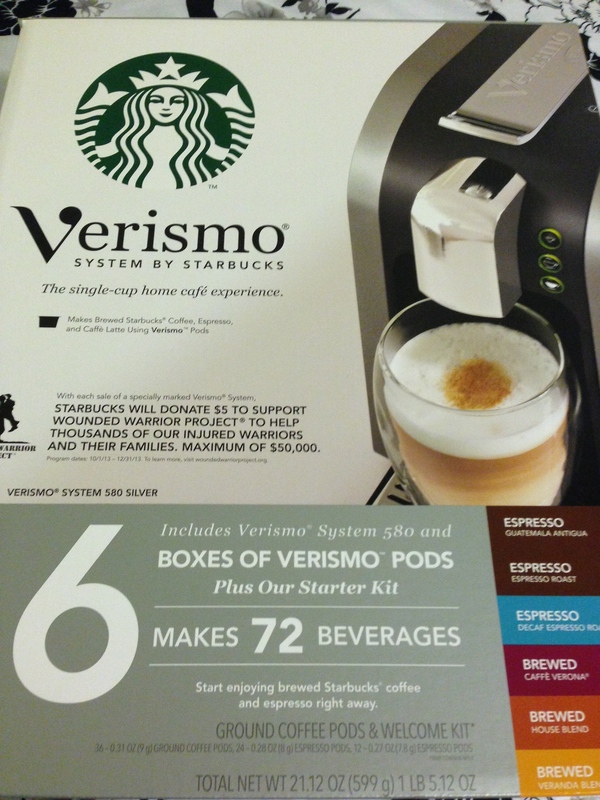 The Verismo 580 sells for $149 through Starbucks (and on Amazon as well I believe) however the Bx had it for just $99 AND it included 6 boxes of Verismo coffee and espresso pods and a welcome pack with 10 additional pods (for a total of 82 pods!). Boxes of Verismo pods sell for $12.95 each through Starbucks, so this bundle came with over $77 worth of pods all while being $50 cheaper than the machine alone elsewhere! I believe the bundle was leftover from the holidays, and I’m not sure how they lasted this long. So far I’m really impressed with the machine. It has a water reservoir which is a really nice feature, allowing you to make quite a few drinks before it needs refilled. You feed the pods through the top and after your drink is done brewing you just flip the lever up to drop the used pods down into the used pod container. The machine looks wonderful and feels quite sturdy which is nice. I haven’t tried brewing any coffee yet, but the espresso is done in a flash as you can see in the video below. I mixed in some chilled 1% milk and had a great tasting drink in under a minute! I’m looking forward to recreating my favorite Starbucks drink, the Vanilla Iced Coffee tomorrow after work. Last night we watched The Secret Life of Walter Mitty, which tells the story of a man who has been very unremarkable for most of his life but constantly daydreams about grand adventures. 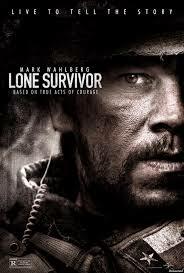 Eventually Walter is inspired to go on a wild adventure of his own which transforms his character and allows him to realize he is significant in the real world after all. 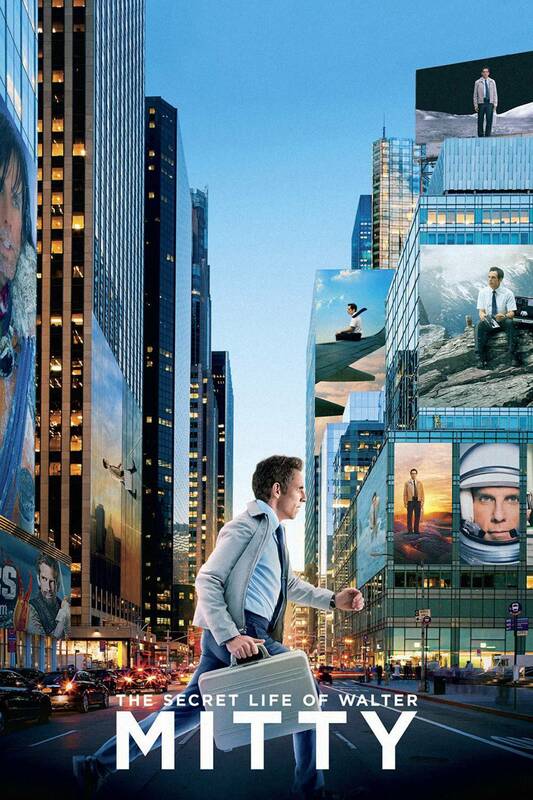 The Secret Life of Walter Mitty tells an inspiring, feel-good tale that is certain to leave you with a warm heart. It also may very well inspire you to seek out your own adventures in life, no matter how large or small. In the end, just know that you have already done many amazing things and inspired many people whether you realize it or not. Is it weird to continue to drink iced and frozen coffees in the middle of winter? Every time I’m at Starbucks I can never get anything other than a vanilla iced coffee, or a Frappuccino no matter how frigid it is outside. In the morning I don’t mind drinking a hot coffee at home, but in the afternoon I have to go with a chilled drink. On a related note, does anyone have a Verismo coffee maker? We have a Hamilton Beach Keurig brewer but it’s pretty cheap and I really like the way the Verismo machines look. How do the drinks taste? I’m really thinking about picking one up once I get my tax refund as I think it’ll look a lot better on the counter and will last awhile longer. Anywho, tonight we’re probably going to have a drink or two and play some Wii Bowling before watching either August Osage County or Her. I’ll be sure to post a few words about whichever we end up seeing. Though not necessarily a New Year’s Resolution (I never bother to make any), over the last few weeks I’ve quit energy drinks…mostly. For years I’d drink at least one energy drink a day, seven days a week. Usually on weekends I’d have 2-3 a day. At $2-3 each (Rockstar Punched) that’s upwards of $15-20 a week, at least $80 a month and easily $700+ a year. The commissary often sells Rockstar’s for $1 which was nice, but even if I bought 400 in a year for a dollar that’s still $400. In an effort to save money and cut a couple hundred calories (and mountains of sugar) a day I decided to give up the habit. I haven’t had a Rockstar in over two weeks! I did however have a couple of Mountain Dew Kickstart’s this weekend, but I consider them more of a soda than an energy drink. I don’t think I’ll ever kick the caffeine habit, so I’ve been drinking coffee in the morning instead. It’s not as convenient because I have to take time to brew the coffee before I hop in the shower, and it doesn’t give as much as a kick as Rockstar, but it’s much easier on the wallet, and I imagine just a bit healthier. 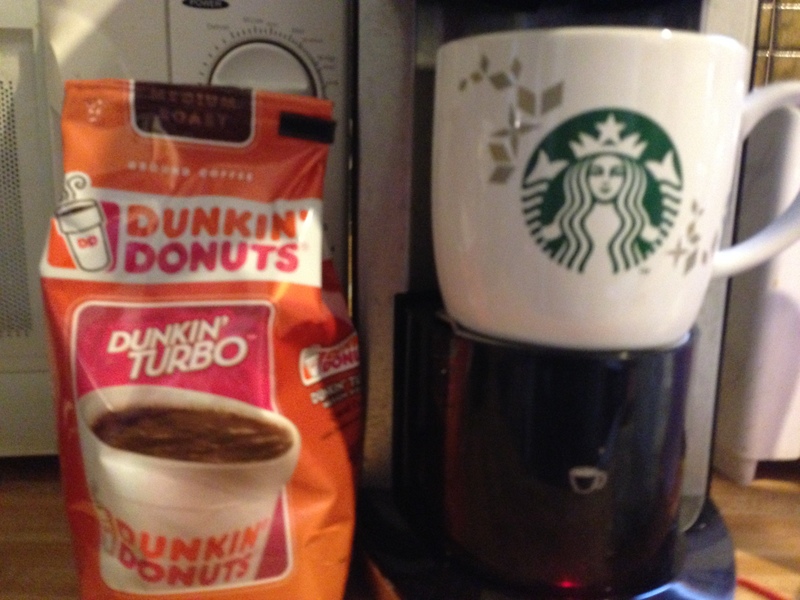 A $7 bag of Dunkin Donuts coffee has lasted two weeks so far and should stretch another week or so. I’m hoping I can keep up the progress I’ve made. I’m sure I won’t quit energy drinks forever, but a bit of break will be nice.